Nigeria has clocked 56, but what is there to celebrate? At independence in 1960, who have ever thought that Nigeria has been led by leaders without vision and conviction. Are their cogent views for celebrating Nigeria at 56? Nigeria's existence has been faced by the crass and almost irredeemable foolishness of her leaders. I know Rome was not built in a day, but there was a systematic, sincere and conscious effort to build Rome. Malaysia, Cyprus, Singapore and South-Africa have by far surpassed Nigeria when it comes to political, economic, educational, technological, and institutional indices. Where are we today? Be the judge. Nigerians today go to bed without food. Ask me what we are celebrating, and I say it is sheer-mediocrity. Why should I celebrate when people go to bed with one eye widely opened? Why should I celebrate when the poor are getting poorer and the rich richer? Why should I celebrate when our hospitals are now death traps? Why should I celebrate when we are more divided than ever? Why should I celebrate when corruption is a way of life in life? Why should I celebrate when Boko Haram and Fulani herdsmen kill people with reckless abandon? 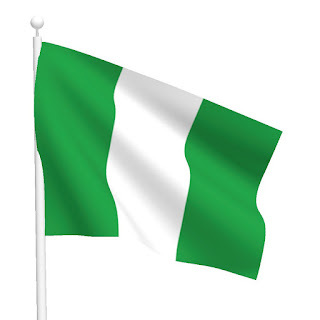 For me, I am not happy and cannot say "Happy Independence" to you, rather it is a time to pause and ponder, pray for the state of things to change in Nigeria. Nigeria at 56 is a nation bedeviled by a plethora of challenges. Despite the abundance of human, material and natural resources, Nigerians are still suffering. Nigeria at 56 and I say that the country has lost her moral compass. A country enmeshed with wrong doings. If we keep eulogising wrong doings, we will create a cloudy environment that will make it extremely difficult for the next generation of leaders. Bad leadership bordering on ethnicity, religion and of course bad leadership have been the deceptive problem of this country and we cannot allow it to continue. At 56,the President who preaches change is in love with nepotism and shady recruitment deals. I look at the President and his assemblage of ministers, we expected a new impeccable list having waited for so long for him to make his choice, what did we get and where are we today? The popular adage says,"if a man took the pain to stay long in the stream, it is because he wants to return home with a pot of clean water". In this case, the President succeeded only in wasting his time. The country is 56 today, but we have failed as a people to lay the necessary foundation for the country's developmental progress. The country in yearning for change needs a political integrity coupled with effective leadership style and to ensure that anyone in the corridor of power has a clean state of selflessness and integrity to run the affairs of the country. Nigeria at 56, the country has been raped, bruised and sapped. We are just drifting like a balloon in the ocean without an anchor chain. For me, I am not in anyway carried away by the chants of change. Indeed, it is all sound and fury, signifying nothing - apology to Shakespeare. True change will come when we have fresh brains, fresh ideas and for now, we have to wait for a true agent of change. The promoters of change only shout change but pay lip service to the attitudinal change required to bring about the real and enduring change. They sold dummy to Nigerians, and we need the true face of change to move ahead. Nigeria's economy has slipped into recession. priorities right and discharge the bounden duty of resuscitating the economy in accordance with appropriate, tested and workable methods. Since our return to democracy, to us it is still nascent, we have continued to move at the speed of millipedes while the rest of the world has gone supersonic. Today, the country is thoroughly messed up, economic and social lives are decrepit, and a larger percentage of the populace is miserable, encircled by grinding and excruciating poverty. That is why, there is no reason to celebrate Nigeria at 56. We are in the Hobbesian state of nature where life is brutish and short. A school of thought believes that 56 years is but a short time in the life of a nation. Do you agree? But the worrisome aspect is that majority of the leaders, followers do not appear inclined to change their ways of doing things. Again I say, Nigeria at 56, conclusively, is living dangerously with the state of her affairs and the auguries for the future are not in any way an encouraging one. Just saying it the way it is.